Are you a fan of things magical or mystical? Then there’s something for you at Temple Isaiah this weekend. The annual Scholar-in-Residence event, March 19 through 21, brings noted author and speaker Arthur Kurzweil to Stony Brook for a three-day happening that will entertain and enlighten. Author of many books, and editor of many more, Kurzweil has gained much from his association with Rabbi Adin Steinsaltz, a noted scholar, philosopher, social critic and author. Traveling with Rabbi Steinsaltz on his frequent trips to the United States, Kurzweil gathered enough wisdom for two books so far. 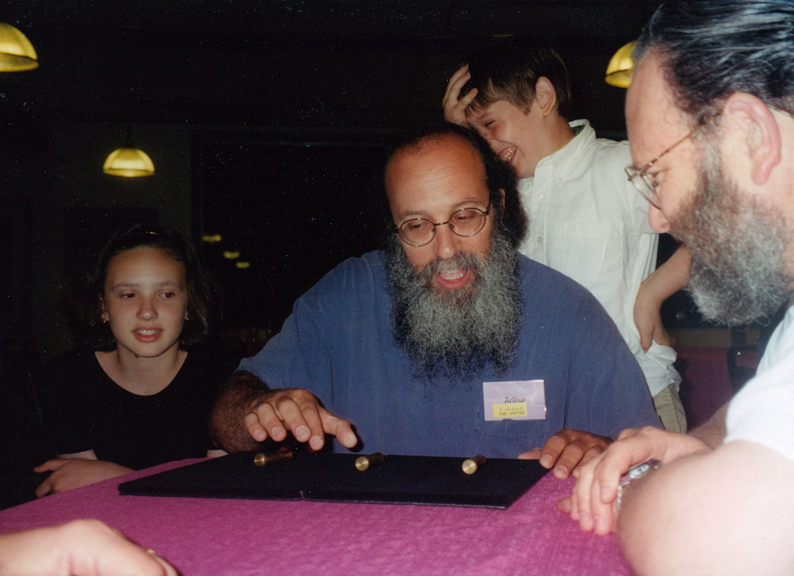 The first, published in 2006, was “On the Road with Rabbi Steinsaltz: 25 Years of Pre-Dawn Car Trips, Mind-Blowing Encounters, and Inspiring Conversations with a Man of Wisdom.” The second, published recently, is “Pebbles of WISDOM from Rabbi Adin Steinsaltz.” Kurzweil is also the author of two books in the “for DUMMIES” series on the subjects of Torah and Kabbalah. And he is the author of the seminal source on Jewish genealogy: “From Generation to Generation,” which carries a foreword by Elie Wiesel. “Twenty Ideas from Kabbalah that Can Change Your Life” will be presented during Friday evening services, which begin at 8 pm. On Saturday, there will be a lunch seminar beginning at 12:30 pm titled, “I Can’t Read Hebrew, I Never Went to Yeshiva, But I Want to Study Talmud: An Introduction to Talmud Study in English.” Participants may bring a bag lunch. On Saturday evening at 7:30 pm, a performance of “Searching for God in a Magic Shop” will be followed by a dessert reception. Suggested donation is $18 per adult. There is no charge for accompanying children (ages 10 and older). A Sunday breakfast program, “From Generation to Generation: How to Trace Your Jewish Genealogy and Family History” is free for congregants. There will be a $5 charge per person for non-congregants. For more information about any of the weekend’s programs, for directions to Temple Isaiah, or to make reservations for the Saturday night Magic Show or Sunday morning Breakfast Program, please call the Temple office: 751-8518. Temple Isaiah is located at 1404 Stony Brook Road in Stony Brook.